5th Avenue Auctioneers will be holding an art auction on Sunday 8 May 2011 from 10am. 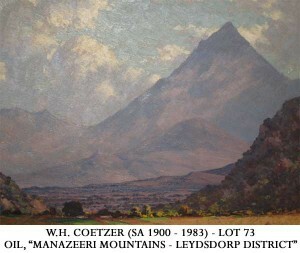 The auction will include works by Pieter Wenning, Adriaan Boshoff, Gordon Vorster, frans Oerder, Hennie Niemann Jnr and WH Coetzer amoungst others. 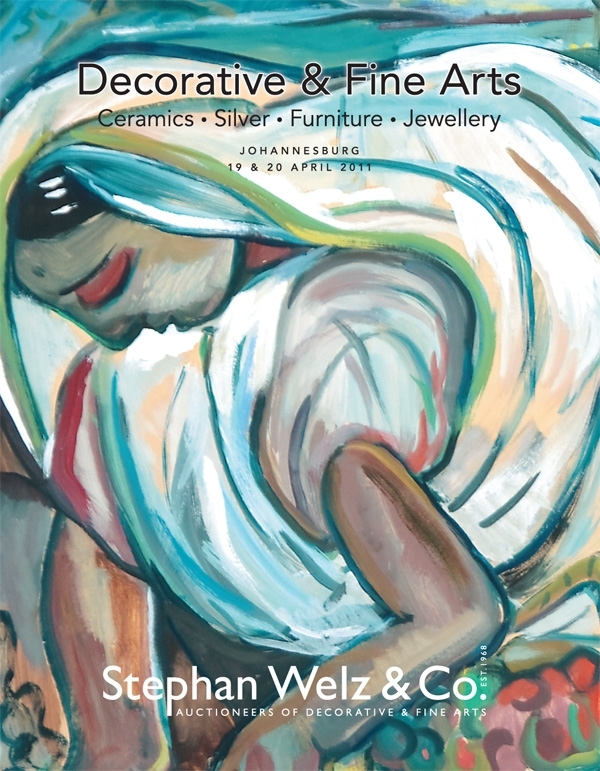 Stephan Welz and Company’s Johannesburg auction takes place on Tuesday 19 & Wednesday 20 April 2011. The auction will include works by J.H. Pierneef, Maggie Laubser, Alexis Preller, Irma Stern, Robert Hodgins, Norman Catherine, Walter Battiss & William Kentridge amoungst others. Russell Kaplan Auctioneers will be holding an art auction on Saturday 16 April 2011. Artworks on auction include amoungst others works by William Kentridge, Frans Martin Claerhout, Robert Hodgins, Willem Hermanus Coetzer, John Meyer, Marlene Dumas, Lionel Abrams, Walter Battiss, Gregoire Boonzaier, Christopher Tugwell, Ephraim Ngatane and Norman Catherine.